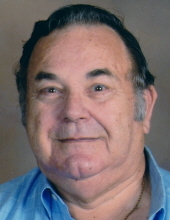 Celebrating the life of William James Waymire Sr.
Obituary for William James Waymire Sr.
ALEXANDRIA, IN – William James Waymire Sr., 78, passed away on Tuesday, January 15, 2019 at Community Hospital in Anderson following a brief illness. William was born in Elwood on April 24, 1940 and was a lifetime resident of the Alexandria area. He attended Alexandria High School. He met his high school sweetheart at a New Year’s skating party at the Alexandria skating rink. They were married on September 13, 1958 in her parent’s home in Elwood. He was employed for more than 32 years before retiring from the trucking industry, working for Brada Miller and Central Transport. He lived his life enjoying hunting, traveling with his wife through 44 states on their motorcycle and spending their winters in either Florida or Arizona. Bill was a member of the Frankton United Methodist Church and Teamster’s Local 135. Services honoring William’s life and legacy will take place at 3 pm on Friday, January 18, 2019 in the Noffze Funeral Home, 501 North Harrison Street, Alexandria with Pastor Nathan Whybrew officiating. Interment will follow in Forrestville Cemetery in Boone Township. Friends may call at the Noffze Funeral Home 11 am on Friday prior to the services. Memorial contribution s are suggested to the American Heart Association or the Frankton United Methodist Church through the funeral home. Noffze Funeral Home is honored to care for Bill and the Waymire family. To send flowers or a remembrance gift to the family of William James Waymire Sr., please visit our Tribute Store. "Email Address" would like to share the life celebration of William James Waymire Sr.. Click on the "link" to go to share a favorite memory or leave a condolence message for the family.